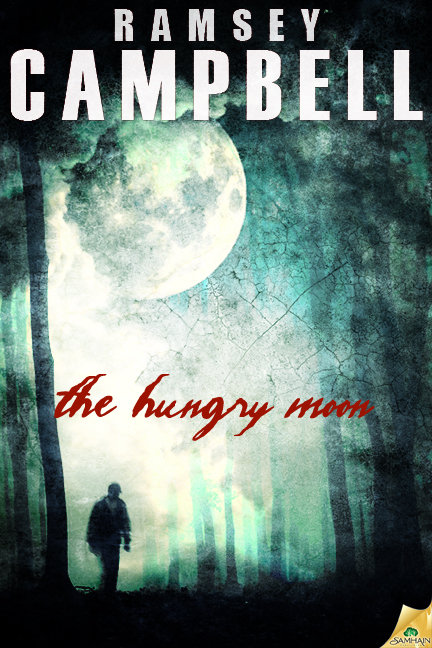 It’s hard for me to believe I’ve made it this far into life as a horror writer and never read Ramsey Campbell, but thankfully I’ve decided to remedy this—starting with the Lovecraftian, druidic, religious-hysteria-driven creepfest, The Hungry Moon. Campbell eases us into the story with prolonged, perhaps even a little slow-moving, introductions into the characters in the town. However, by the time the action starts, you really feel as if you know these people: they are well-drawn, complex, decidedly real individuals. That’s when an American evangelist, fittingly named Godwin Mann, comes to town with a horde of followers who decide to convert the entire town to their particular brand of Christian fanaticism. It is perhaps a testament to Campbell’s convincing rendering of this hysteria that left this non-religious reader more frustrated by these characters than by, perhaps, any other character in any work of literature. Thankfully, there are a handful of nonbelievers who comprise the group of protagonists who see beyond the blind faith Mann has inspired in the rest of the town. Though I was quite hoping for some kind of apology to the nonbelievers at the end, there’s a bit of poetic justice served to the particularly fanatic among the religious folk that, I think, remedies this. The town in question is a small moorland village in the Peak District of England, a fictional place called Moonwell. An old tradition of dressing a deep, dark cave with flowers every spring gets interrupted when Mann claims it is relenting to the evil that resides within. So, in order to bring God fully into the town, he descends into the cave… and comes back something else entirely. When an unearthly darkness settles over the town, blacking out the rest of the world and effectively isolating the inhabitants of Moonwell, the real horror begins. An ancient Lovecraftian moon-creature that the druids (rightly) placated with their dressing of the cave emerges to wreak havoc as the darkness drives the already-hysterical townsfolk to violence and scapegoating. There’s one particular scene in which the main protagonist, Diana, experiences a vision of the creature’s birth: it’s spectacular. That, along with some creepy scenes involving a dead priest and a ghostly child, is surely my favorite part of the book. Unfortunately, after all the wonderfully creepy build-up and horrors that Campbell throws at these characters, the climax feels a bit rushed. The story of one particular child character just sort of ends, and some of the resolution feels a bit too easy. The epilogue, especially, was a disappointment, but I won’t spoil the nature of the let-down because the book is still definitely worth reading, if you haven’t already. In all, despite some of its shortcomings, this book has already jumped to my list of favorites for the eerie moon-and-shadow imagery that really starts to take hold of you as you journey into the dark forest with the characters and wonder if you’ll ever make it out alive. Highly recommended, as its merits far outweigh the issues. I’m already trying to decide which Campbell book I’ll pick up next. Ramsey’s my favorite writer by far. His short stories are phenominal (I’d choose his collection ALONE WITH THE HORRORS as my trapped on a desserted island book). My favorite of his novels are 1. INCARNATE, 2. ANCIENT IMAGES, 3. THE GRIN OF THE DARK and 4. MIDNIGHT SUN. I just read HUNGRY MOON for the first time last month and agree it’s another great read. Awesome, thanks for the list! Will put down all of these (perhaps in that order) as ones to get. Really looking forward to reading more of his stuff. Lots of horror fiction fans are mixed on Campbell but he’s a unique voice in the field, has been for decades now. Always worth a read. Campbell’s first novel, THE DOLL WHO ATE HIS MOTHER, was quite good – but it’s always his short stories that for me have had the greatest effect. You’ll get a lot of good stuff in ALONE IN THE DARK, plenty award-winners and well-known tales in there. I recently read his stories in NIGHT VISIONS: THE HELLBOUND HEART, and found them all creepy delights! Thanks for the input! I’m intrigued by “The Doll Who Ate His Mother” based on the title alone. Sounds deliciously creepy. I tend to be more into novels, but I’ll definitely check out his short stories now that I’ve heard such good things about them.